A dish mounted to an otherwise humble home in Santa Elena de Uairén, Venezuela reminding us of the restless creep of consumerism. My friend Hans Artal, left. The upshot of Hans’s comment that struck me so deeply was that he was OK with what he had, he didn’t need more; he had, by lifestyle and circumstance, never needed to trim back his lust for more and better, because such a desire had never developed itself in his being. He was OK being OK. In our culture, the effect mentioned in the McKibben quote, could quite easily traced back to at least one significant cause: marketing. As an acquaintance of mine, a product designer told me a while back, his job existed to make sure people don’t get too comfortable with what they have. “We have to keep making them want the next one.” This is marketing. 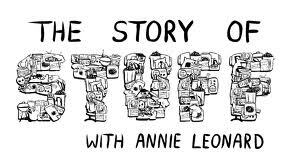 “The Story of Stuff” a brief but thorough documentary about the culture of consumerism. And if it’s not making us better, and it’s making our Earth less liveable, what to do? Thinkers like Foucault or Deleuze and Guattari would caution us that there is no overthrowing the system, no “Man” on whom to pin our problems, that power operates and change occurs organically and in the constraints of the world we inhabit currently. But is it possible to convince ourselves culturally that we must cut back or face real and permanent consequences? Possible to operate within the system that’s doing the harm? Bruce Mau would say yes. And I’ll get to that in a moment. I would say yes. But we can’t say it like that. We can’t blame. We can’t scold. No preaching. If we are ever to use a person like Hans Artal, for a model of how to live, if such a convincing will ever take place on a cultural level, we have to market it. Consider this advice from a book by Dylan Tomine called “Closer to the Ground.” In the forward, Thomas McGuane says, “Surely sustainable must be among the most abused words in today’s lifestyle vocabulary. [I would personally say in any vocabulary] For many, it imagines only two classes of people: the thoughtful and the stupid; the biodegradable versus the carbon footprint. For others it suggests a mandate to live in a manner that, while not impossible, is uninviting to all but frowning zealots. Most writing on sustainability is aimed at those who enjoy being lectured, but the subject is much too important to be framed so unattractively. People are baffled at having to choose between the gangplows of industrial farming and a two-man goat cheese operation. The real issue is that the condescension and finger pointing of too much environmental writing is not helping our most important cause.” (Tomine i, 2012, Patagonia Books). Which brings me back to Bruce Mau. This is a person who understand marketing as well as anyone in the world. He understands the problems our culture has created in sustaining itself. He understands the problems of those left aside by mainstream consumer culture. But most importantly, he understands the power of design. In a wonderful essay called “You Can Do Better” (you MUST read it if you haven’t yet) he lays out for designers the power behind design to solve real problems of real people. The inimitable Bruce Mau. Photo Nigel Dickson. Click through for source. Elsewhere, in an interview with Catalyst Stratgic Design Review he defends design as pivotal to solving the problems of sustainability, “designing is leading; design is leadership. You can’t design, except to envision a new world.” The most difficult challenge facing us as active members of a culture that must by its definition expand and increase, use more and more of the increasingly scarce resources. We must cut back. We must reduce our impact if we intend to stick around to enjoy this planet in the future. We must take on a mindset more like my friend Hans. Having had Coke, and McDonald’s, various airlines, and so many institutions of consumerism, he knows the power design has to change the world it exists in. In fact he thinks we have business right where we want it. 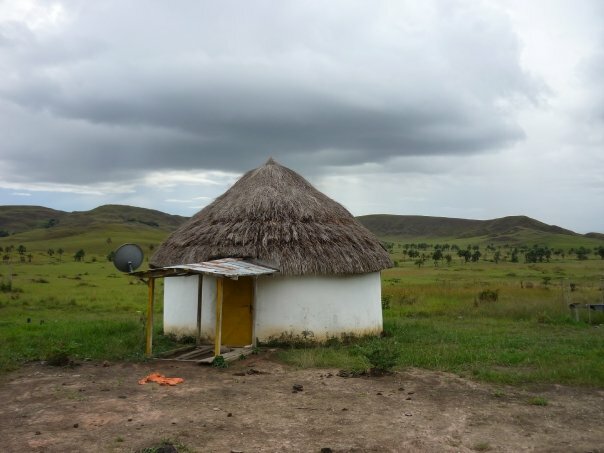 In so many ways, as we see in the two articles, Bruce Mau is influenced and draws energy from the “3rd World” and operates in the world currently run by consumerist engines, to solve problems of sustainability all over the planet. He provides us a call to action, a call to do better, to see more clearly, broadly, and creatively. We can draw inspiration from people like Hans to be OK being OK. To be Zen in a manically-consumerist world. We can draw on Bruce Mau to draw on that manic energy, combine it with Hans’s natural empathy, and change the world economy from inside out. This piece is a variation on a presentation I made at a symposium, “A Call to Sustainability: Conservation, Restoration, and Sustainability” hosted at Brigham Young University, November 8-10, 2012. I agree with your point that the question is not a choice between going back to the undevelopped status and a polished urban image. And I really hope design are not for generating more desires and moved in a track parallel or opposite to the extrme urbanism in the informal cities. In addition to framing sustainability in positive terms — “having more of an experience and less of an impact” — the flip side (a good scolding does have its time and place) is living within ones means, being realistic. We need a massive, permanent campaign to connect the concepts of financial capital and natural capital. No one should be able to lecture about burdening grandchildren if they’re not being equally responsible in both realms. This isn’t dad getting up in our business; it’s learning “how the world works,” common sense, basic math, etc. It’s conservative. ← Economic Efficiency or Urban Quality of Life?